Few months back I received a patient of road traffic accident in Emergency room OT of BB-hospital. He was not having any signs of cerebral edema though, but the history was clearly indicating a concussion and he lost short term memory too – of the event. After managing the patient and stitching his wounds, he was good to go. I advised him a few things but specially to immediately report to the hospital if he has vomiting. Although only 1 episode of vomiting is not significant in such a case, but repeated ones are. Several advices for a patient with concussion include to get alert when vomiting occurs, slurred speech, loss of memory or any other conscious functions disorientation. However patient has no restriction on sleeping after a concussion – but there should be someone around looking at any signs of cerebral edema while he’s sleeping. He did report that week with the history of episode of vomiting but the attending medical officer overlooked the accident history and didn’t take it serious. He died almost 1 week after I received him in the ER. . . The medical officer still labelled it as not related to the accident, I’m sure just in an attempt to hide his incompetence. He was really brave boy! he asked me to take his picture and mms it to him from my cell phone too . . . I still have his picture with me . . blooded and wounded brave boy . . When he arrived, he sat there on the stool in the trauma bay, among many other patients who were arriving at the same time, typical like everyday. He asked me to take his pic before cleaning and stitching, God knows what was going on through his mind, No it wasn’t the era of selfies at every moment, he didn’t even have the mobile with camera, but he was really different, poor maybe but quite sensible. May Allah forgive him and grant him high place in Jannah. BB hospital (Benazir Bhutto hospital, Rawalpindi, the old Rawalpindi General hospital or RGH) receives most of the trauma and road traffic accidents (RTA) cases of this side of the Rawalpindi city. The facilities, bed, doctors and staff is so less that many patients get ignored and mismanaged just because of overload and overburden. Doctors and staff try their best to provide the best possible management and facilities to the patients but they simply can’t. It’s the same hospital where Benazir died (or maybe was bought after she died in the attack on her rally in Rawalpindi). That’s why the hospitals name was changed from Rawalpindi General Hospital (RGH) to Benazir Bhutto Hospital (BBH). Government should provide more facilities and staff to government hospitals like BBH and others all over the country to avoid patients mismanagement. 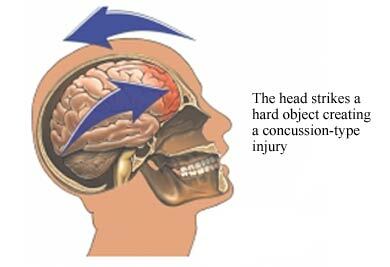 Also, make sure you take concussion patients seriously and always look for symptoms of any complications after head injury including dizziness, vomiting, amnesia, blurring of vision and unconsciousness, and teach them to the patients and your staff too so that no patient suffers after head injury due to lack of knowledge to himself or the neurosurgeon or other doctor and staff managing him for the head injury and the bleeding inside the head.